The Gibraltar Betting and Gaming Association [GBGA] has announced its plans to resume its legal challenge to the United Kingdom’s point-of-consumption tax, resuming the trade organization’s battle against changes made to the UK’s Gambling Act in 2014. The GBGA has been unsuccessful in several strategic forays against the POC and its implementation. The core issue remains the 15% tax, which would end the virtual tax-free ride on online wagering enjoyed by Gibraltar-based gambling firms, many of which are members of the GBGA. The POC tax would raise the online-wagering tax to the equivalent of that paid by the UK’s land-based betting shops, and over time could result in billions of pounds of tax revenue from all such overseas firms who continue to serve the UK market in the online sense. The battle remains acute for Gibraltar, the GBGA, and its member companies. Many of the GBGA’s most significant firms are former British gambling giants who relocated to Gibraltar precisely to take advantage of the protectorate’s virtual tax-free regime, which charges only a nominal fee to online companies based there. Besides tourism, the tiny protectorate at the mouth of the Mediterranean Sea has little other economic base. The explosion of the online industry early last decade thus offered a new business avenue for Gibraltar. 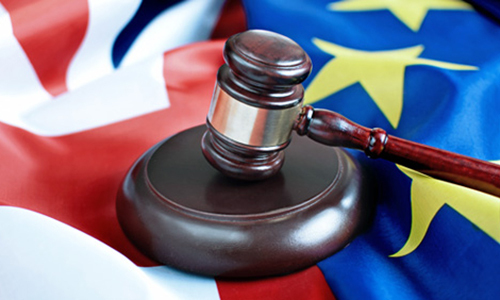 Having failed in its earlier attempts to have the POC changes themselves declared in violation of European Union treaty, Gibraltar and the GBGA this time are turning their CJEU [Court of Justice of the European Union] to Gibraltar’s own status as a UK protectorate. The CJEU is now being asked to rule on Gibraltar’s status as part of the UK, to see if a technicality can be employed that would render the POC edict null and void. The GBGA will argue that the 15% POC tax is “an unlawful restriction on the supply of services to the UK.” The trade group believes (or at least will continue to argue, given the hundreds of millions of pounds involved on an annual basis) that the unique nature of Gibraltar’s political status makes the POC implementation unlawful under Article 56 of the TFEU, the Treaty on the Functioning of the European Union. More specifically, the GBGA petition seeks clarification on the GBGA’a assertion that Gibraltar is a single-party member under the TFEU, and thus eligible for a separate status from that of the UK, while remaining attached to the European Union. Gibraltar is not part of the EU’s Schengen area and is also not subject to VAT assessments. Gibraltar, as a protectorate of the UK, already enjoys a special status granted to it, just to allow it to participate as part of the European Union. And above all that, there are the near-future implications of the UK’s “Brexit” vote, which won’t be considered in this specific challenge but are sure to arise as another GBGA consideration in the foreseeable future. The GBGA currently claims 20 members, including several firms historically regarded as British gambling giants. The current membership roster includes: 32Red, 888 Holdings, Bet 365, Betfair, Betfred, BetVictor, bwin.party, Digibet, Gala Coral, Gamesys, Gtech, IGT, Ladbrokes, Lottoland, Mansion, Nektan, Ongame (probably defunct and in need of removal from the GBGA’s list), Stan James, Tombola, and William Hill.